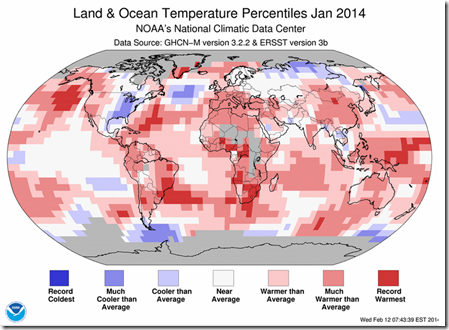 You wouldn’t know it is you lived on the East Coast, of course, but January 2014 was the 4th hottest on record, globally. Good thing we have these snapshots, otherwise I’d have to rely on NASA for such data, and what do they know, am I right? Bring back the continent-spanning glaciers!